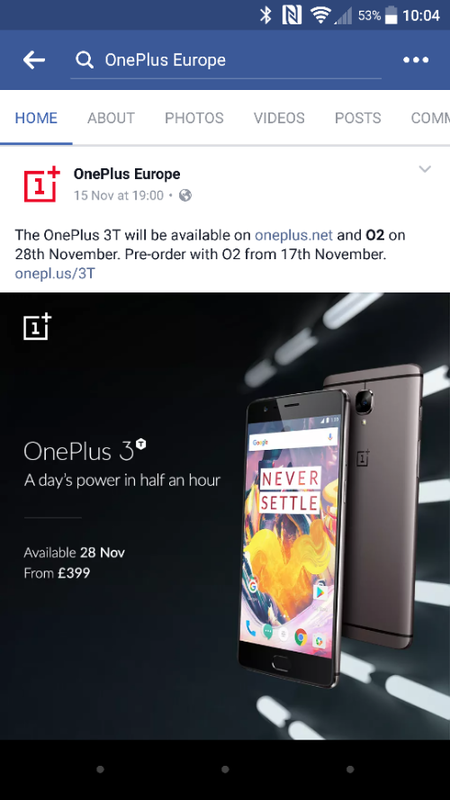 Available fully on November 28th, you can get your name down to buy the OnePlus 3T tomorrow with O2. As we mentioned earlier, the OnePlus 3T has a Qualcomm Snapdragon 821 CPU (quad core) and a massive 6GB of RAM. There’s 64GB of storage (no microSD slot that we can see though), a fingerprint sensor, audio port, a fast-charge 3400 mAh battery, 5.5″ 1080p 1920×1080 screen (at 401ppi) and the usual 4G, Bluetooth 4.2, WiFi, GPS etc. Other highlights include a 16 megapixel Sony camera at the back and yet another 16 megapixel one up front too. It is charged via USB-C and is powered by the OxygenOS, which is based on Android Marshmallow. Head to the OnePlus website to get more information and to pre-order.